Chartered in 2005, the Rotary Club of Maketu reflects the new face of Rotary. Our club spans the economic and cultural boundaries of a small (pop 1,000) rural community. The club membership is balanced between men and women. Two-thirds of the members are couples. Maketu Rotary demonstrates that in every community, no matter the size, there are people who want to serve. 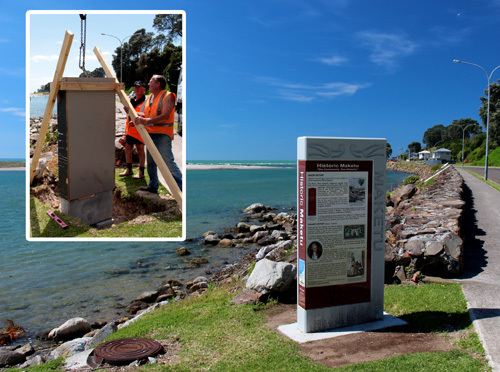 Take a Historic Hikoi (walk) through our lovely seaside village following the series of historic markers that were created and installed by Maketu Rotarians. The markers tell our blended Maori and Pakeha story of " One Community - Two Histories". One of your stops will be adjacent Maketu School, the site of regular service by our club. From funding laptop computers, to providing dictionaries to each student, to volunteering in the reading programme, and many other ways, Maketu Rotary invests in the youth of our community. Come to our annual Kaimoana Festival (seafood) which energises our community while raising funds for our many projects... such as supporting the Maketu Fire Brigade, the Surf Lifesaving Club, the Coastguard, the Maketu Health Centre, and more. It's all there at www.maketukaimoana.co.nz And, we commit 10% of all fundraising efforts to the work of The Rotary Foundation. In addition to supporting the global work of The Rotary Foundation, our club has been involved in a range of international service efforts including hands-on work projects in Fiji, support of Rotary projects in Tanzania, hosting Rotary Youth Exchange students, sponsoring Emergency Response Kits, and on-going support of Rotary's quest to eradicate Polio. Rotary is about service. 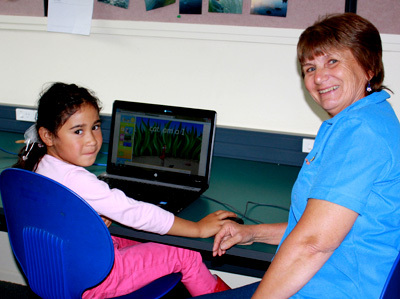 Click on this image to visit the community website which is created and sponsored by Maketu Rotary. You'll discover more about our club and our unique village. And, not only does our Rotary club sponsor this community website, we are actively involved with every one of the organisations and groups featured on the site. Want to get a feel for the energy of Maketu Rotary? The club is celebrating its 10th anniversary and this video was created to celebrate the past decade of service. It tells our story - ten years in twelve minutes... ENJOY!